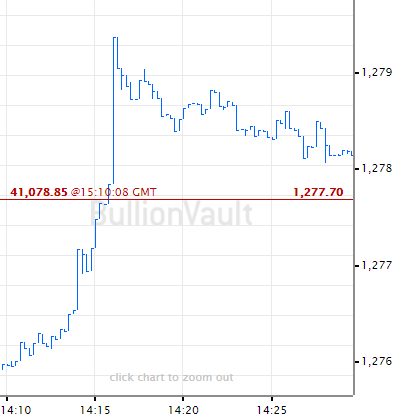 DID gold prices really drop through $1300 last week? asks Adrian Ash at BullionVault. Nope. Gold did no such thing. Not when you discount Donald J.Trump's impact on the Dollar. In this parallel universe, gold hasn't even got above $1250 per ounce since Trump was sworn into office 16 months ago. So it couldn't fall through $1300 in May 2018 if it tried. Indeed, the real range in gold prices since Trump took the oath wasn't $1185 to $1350 as you might think looking at a chart of the gold price. That would already be the narrowest 70-week range since the turn of this century. But no. Gold has in fact traded from $1150 to $1250 per ounce...a trading range HALF as wide in percentage terms, and the narrowest 70-week period since the doldrums of the mid-1990s. What's that you say? Have we been at the herbal tea again? ...and then asks where gold would sit if the Dollar hadn't moved on the foreign exchange market since Trump came to power. The blue line shows gold priced in all other currencies outside the Dollar. That contrasts with the red line of actual USD action. The simple sum behind the blue line uses the Dollar's broad trade-weighted index against a basket of other currencies. It rebases the gold price to Inauguration Day. As the chart shows, gold at this April's peak traded $110 per ounce higher than it would have done if the greenback hadn't weakened so badly under the first year-and-a-bit of the Trump presidency. It also shows how the Dollar's sudden spring-time rally on the FX market has halved that, cutting the gap between Dollar and non-Dollar gold (rebased to Trump) back below $60 per ounce. Since the start of last week in fact, gold has dropped 2.7% versus the US Dollar...but only 1.3% for non-Dollar investors worldwide. And that could prove a problem for gold demand. The drop through $1300 simply didn't show for non-Dollar traders, consumers or investors. "Demand picked up a bit," as one Singapore dealer said, "but not as quick" as it would have been if the Dollar-price drop was what Asian households got. Now "a solid discount [below global Dollar prices] is emerging in gold in India," notes John Reade at the mining-backed World Gold Council. "No sign of any surge in buying after the recent fall in the USD-denominated gold price...perhaps [because] INR-denominated gold is still quite pricey compared to the past year's range. It's also " hardly a seasonally busy time of the year," as Reade concludes. 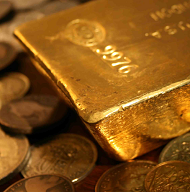 India's household gold demand peaks with Diwali in the autumn. Between now and September, it's subject to the Hindu calendar's sparse approval of wedding dates. Price-wise it's the same story right now for demand in China, gold's No.1 consumer nation. Shanghai prices closed Tuesday just $6 per ounce above London quotes, offering one-third less than the typical gross margin on new imports. Indeed, "Modest Chinese buying did little [on Monday] to stem Asian offers," says the overnight note from Swiss refiners and finance group MKS Pamp. This morning's rally back above $1290 in USD terms saw short-term traders "taking profits" it adds. But what about the 'king Dollar..."our currency, your problem" as the Nixon White House told Europe when it welched on the Gold Standard in 1971...? 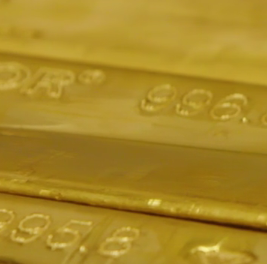 "In the short-term, there are reasons to expect further Dollar strength and, consequently, pressure on gold prices," says a note from London bullion clearing bank ICBC Standard. 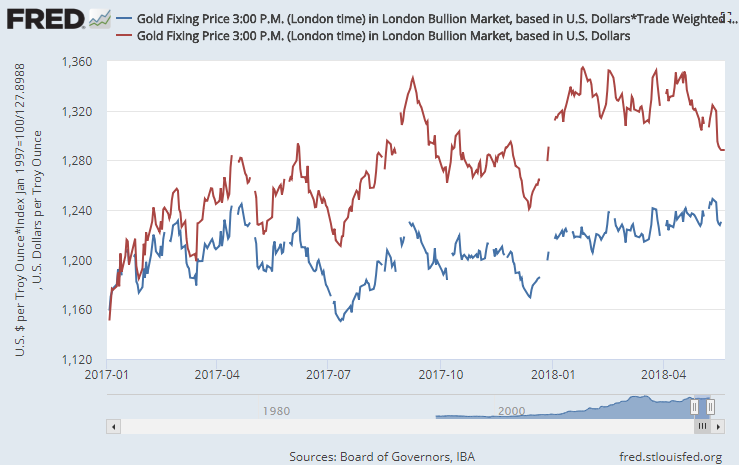 "Nevertheless we expect gold to outperform against other currencies and do not see this latest move as the beginning of a new dollar bull market," ICBC Standard goes on. In particular, "the key driver" for this spring's sudden Dollar rebound "is a relative Eurozone slowdown rather than a particular US acceleration," says ICBC. Backing that up, it notes how short-term US bond yields have risen much more steeply than longer-term yields. "That has not done anything to suggest a repricing of the medium-term Dollar outlook." Trump's first year proved bad for the Dollar and good for USD gold prices. The metal has however trended gently higher for both US and non-US Dollar investors, as our chart above shows. And now the typical summer lull looks to have started early, with prices easing back even against the Trump-weakened Dollar. Investors wanting to get set for fun in the fall might want to take action.